Get Help NowContact me today! 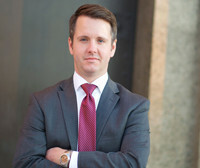 Brad H. Frakes is a Nashville Family Lawyer serving all of Davidson, Williamson, Rutherford, Wilson and Sumner counties. If you are facing a divorce, child custody, child support, or family law matter, Brad H. Frakes, Attorney at Law, will fight for you. Serving families and individuals in Nashville and throughout middle Tennessee, he is dedicated to protecting our clients and ensuring that justice is served. Hard times can happen to anyone, and when they do, Brad vows to provide aggressive and compassionate representation.